As a student you should learn how to read textbooks faster. You can be able to read your textbook fast enough by applying a method of being a selective and active reader. Instead of reading it chapters to chapters and word for word, use the questions at the end of each chapter or section to hint you into the main material. Furthermore, while reading, use your pen as a guide and reduce sub-vocalization to increase your reading rate. 1 Study the questions at the end of every segment or chapter. Let those questions guide you to help you focus on the essential and appropriate material. As you are speed-reading the chapter, you can as well ask yourself if truly the material you are reading is answering those questions. If it is not, then avoid or skip it. 2 Try to Read the chapter introductions and final summary. Gaze on key words like effects, results, causes, versus, and experts and frauds, for instance. Those key words will hint you into the chapter’s view or main idea. Knowing the main ideas earlier will help you categorize sections of the chapter that need cautious reading. 3 Careful Look at section headings and subheadings. Reshape section headings and subheadings into questions to assist you focus on the important ideas being presented. If the section heading says, “Carson’s Three important Social Laws,” NOW reshape it into a question by saying, “What are Carson’s three important social laws?” now read the material that answers this question. Have it in mind that bolded or italicized headings and sub-headings contain hints to the most essential material. 4 Try to Read the first and last sentence of a paragraph. If you read and understand those two sentences, then just scan or avoid the paragraph. But If you don’t understand the first and last sentences, then read the whole paragraph. Remember to slow down when you meet complex paragraphs and sentences. In this way, you can be able to completely understand what the author is trying to communicate in the paragraph. 5 Put your attentions on the importance, concepts and details alone. Speed-read the book for important ideas, people, places, and events. Those words are usually bolded or italicized. If you understand the idea, then you can avoid the related information that explains it. 6 divide up the chapter with your classmates. For example, develop a plan where each and every student in the group reads and writes a full summary for their respective section. Then, have everyone complete their summary by a certain date like the end of the week. You will have to ask yourself this question before you start reading, “What is the author’s main purpose?” What does my teacher want me to pay attention on in this chapter? What have I already knowledgeable of or not knowledgeable about this topic? 2 Write notes in the borders. In adding to underlining, write questions and comments in the borders of your textbook or on a sheet of paper if the book is not your own. This will help you participate with the material and remember the information better, and therefore prevent you from reading the section over again. 3 Put down the Summary of what you read in your own words. Put down the main points on a note or a sheet of paper. Use instances to simplify the main ideas. Minimize your summary to be at least in one page. 4 Make arrangement of a study environment that is free of distractions. Go to a cool and calm place in your compound, for instance your bedroom, or the library to read. Remove all other causes of disturbance like your phone, computer, and the Internet. Rather, read the chapter and write your notes by hand, and put your phone on silence or switch it off. Furthermore, make sure that the place you choose is light enough and relaxed, but not too relaxed. 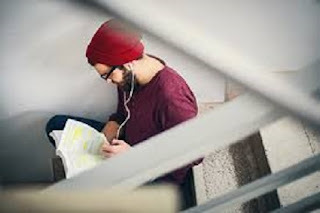 If you choose to study at home, let your family (or roommates) know that you will be studying quietly in your room and that you would appreciate it if they kept the noise level down. Say to yourself, that I will read this chapter for one hour. By giving yourself a time-frame, it will help you stay on track as you read. If you begin to notice that you are reading a section for long, get to the main ideas and move on. 2 Use a hand or pen to emphasis on the material. While reading, put your finger or pen below the first word of the sentence and drag it as you read. It will help your eyes focus on the words you are reading, instead of other pictures and material. Furthermore, using a pen will help you control how fast or slow you read something; for instance, the faster you move your finger the faster you will read and others. 3 Time to Control the speed of your reading. Reading faster is not just about reading fast, but about directing your speed. In other words, slow your reading when you come across concepts that you are unacquainted with or do not comprehend. Then, increase your speed once you have assessed the meaning.